I will not get into detail of this watch...you can find many review online everywhere. Just my view on this watch. After buying my first smartwatch more then a year ago...i was pleasantly surprised so i bought a new version of it, just because i like it's style. The new version of metawatch had a silver button layout in stead of the black. This watch does most of the things i want a smartwatch do to. Have a great light and see many info in one view and a battery life of 4 to 6 days. I just loved this version and still wear it sometimes. But the only downside is that the bt will not reconnect after losing connection for a longer time. They did it to have a better batt life, so you have to reconnect by hand. But yes..i still like this watch..super quality..great screen outside and strong ledlight at night. It took me almost a months before i was used to feel the watch..now i can wear it all days and night. And yes it's addictive. Strong bt connection, even till the next floor. Following your body every minute..heartrate, calories burned, steps taken that day etc and a great synchronization to your personal website with all stats. And seeing incoming phones, mails,sms, weather and so much more. I just love it...everything i need is on my wrist..it's just perfect. It's small, it's in color, it's light up in the night, it vibrates, it keep connection and if you have cortana on a windows phone, it does so much more..StarTrek Here we come. Beam me up Scotty. But then after wearing it for 4 months..i just got tired of giving it juice to stay alive..1 hour = 80% or 1 days/ 2 hours = 100% and 2 full days ...just a bit less if you use the gps sensor much. And now i look at my other beautiful watches and oogh please..i want to wear them again. They feel so much better on my wrist...they are so much nicer. so yes..it will have place in my collection but i don't want it to take over my wrist...2 days is just to little..like i said before..one week at least. 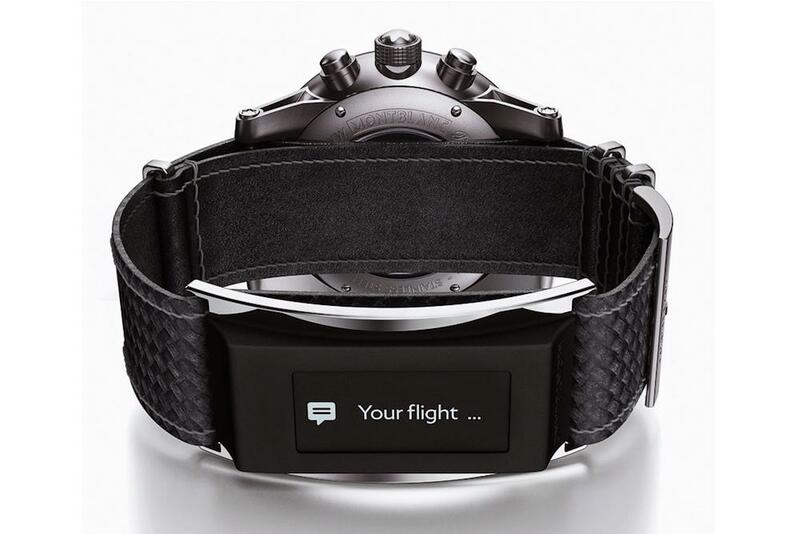 Imagine microsoft selling these : i would give a great deal of money to have it...just perfect, so i can keep wearing my watches..small, on the back of my wrist..just there when i need it and still wearing the watch i like to wear. aside 2 days of juice is just to little for my comfort, i also notice problems with the sensors due to sweat after 5 months. And no i'm not a sporty guy but maybe it's just a skin problem of me.